These are troubled times for U.S meteorology, and for U.S. meteorologists. There’s a full litany of woes. Vital weather-satellite programs are behind schedule, over budget, and face future funding uncertainty as well as possible disruptions and gaps in service. Critics fault U.S. operational numerical weather prediction, comparing it unfavorably with European performance. [The boo-birds are equal-opportunity; they cite greater European investment in computers, in professional staff, even in leadership. No U.S. participant escapes blame.] Understaffed NWS offices contend with furloughs and, most recently, hiring freezes. Travel restrictions impair the very collaborations that might improve matters. Government unions are twitchy. So are the private-sector service providers; the major aerospace firms that build the radars, satellites, ground systems and other hardware; and the university researchers finding government grants hard to come by and short-changed by the sequestration. In the history of advocacy sometimes the second part of this logic has been to create a new group, a new association, a fresh commission, yet another coalition or alliance. Occasionally such an approach may succeed; but it has been found to carry risks. One is the danger of creating yet another fragile organization to compete for and share finite resources… both funding and people… with the pre-existing groups. In the end, none is robust; all are malnourished. Here’s another: effort that could be spent making the desired case is redirected to standing up the new organization. What’s more: often the new group doesn’t succeed in getting the larger community to subscribe to a single message so much as it adds an additional voice to the larger babble. And the inescapable reality remains. The meteorological community adds up to some tens of thousands of scientists and engineers who build Earth observing capacity, advance science, and perform services, and a comparable number of experts who translate those services and products into valuable information for the American public. By way of comparison, consider the AARP. AARP has a million members…in Virginia alone. AARP holds unrestricted net assets amounting to some $3 billion. When it comes to advocacy, as measured in traditional terms of who yells the loudest and carries the greatest clout, big organizations such as the AARP carry the advantage…just as the odds favor not necessarily the smartest poker players but those who come to the table with the biggest bankroll. Then the big-time advocates have something to work with. The individuals who make up our community, and the individual companies, universities, and agencies they serve know this. 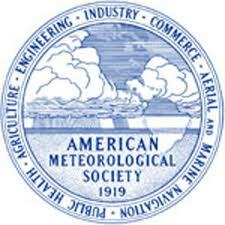 The American Meteorological Society shares such aims. That’s why all three sectors have worked together the last 10-15 of our 94 years to build an infrastructure… through the AMS Policy Program and the Weather and Climate Enterprise… toward this end. We’ve conducted a preliminary workshop on the value of 21st-Century Earth Observations, Science, and Services. We’ve had exploratory looks at energy, water resources, space weather, healthcare continuity in the face of hazards, road weather, and other topics. We’ve woven the findings of these workshops into Hill briefings and into the AMS conversation that cycles through each year’s AMS Annual Meeting, AMS Washington Forum, and AMS Summer Community Meeting. The pace has been slower than any of us would like because of staffing constraints in the Policy Program and challenges standing up an Enterprise-wide coordination that could keep public-, private-, and academic sectors fully and fairly engaged. But thanks to recent staff additions at the AMS Policy Program and the hard work of the volunteer leadership of the Enterprise Commission over the past decade we’re finally in a position to take advantage of the foundation we’ve so painstakingly built. At the same time, the academic community, the American weather industry, and other partners have laid the groundwork for an advocacy group…the Weather Coalition… that itself has a track record and could well be expanded and strengthened. Today’s crisis atmosphere might tempt some to abandon these efforts and seek new short cuts to our long-term goals. It might well be in our interest to seek the establishment of a Congressional Commission analogous to the Oceans Commission of a few years back. That would be a truly independent step. …on our behalf and in public interest.